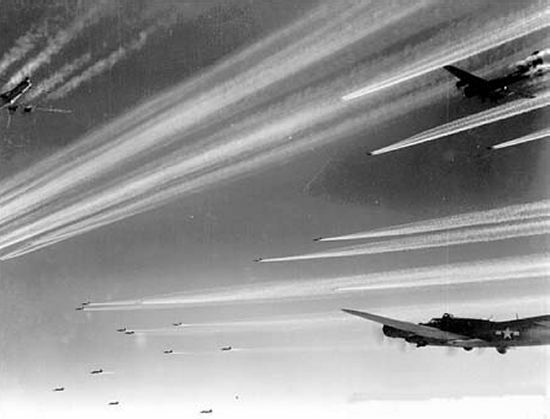 B-17 Bombers over Europe, 1943. Lots of Ordinary Persisting Contrails, but no "Chemtrails". The above Discovery Channel documentary leaves open the possibility for undisclosed government or military weather-modification experiments which might be spraying something into the atmosphere. This I agree is a possibility, and if it is taking place, then it should be exposed and subject to open public debate. But this would, by its very nature, dramatically limit the number of aircraft spraying such offensive materials. The advocates of "chemtrails" are not so conservative in their estimates, however, and given their claim that nearly all persisting jet contrails are "chemtrails", and the large number of geographical regions where "chemtrails" are claimed to be sprayed, this would require a gigantic global effort equal to that of nearly all of global civil aviation. For that, there is no evidence whatsoever. The issue of geo-engineering has also recently been raised as claimed "evidence for chemtrails" when in fact these schemes -- which I consider to be very bad and even irresponsible science -- have nearly zero support for actual experimental applications. Only in a few cases have very limited geo-engineering projects been actually carried forward as experimental tests, and they were subjected to extreme opposition by environmental groups, as well as intensive public scrutiny of what they actually did. Chemtrail advocates latch on to geo-engineering and say "see this is evidence of chemtrails" when it most surely is not anything of the sort. They also lie and fabricate "evidence" as with the stupid claims made about spray apparatus on aircraft surfaces, which any educated pilot will tell you are for instrumentation or other rather ordinary purposes. More recent films jump from chemtrail claims to geo-engineering, and from there to making weather-modification efforts more sinister than they already are, including additional basically-true but fully irrelevant points about Monsanto and other Big Government schemes. None of it confirms the idea of massive abuse of civil aviation to spray poisons across the countryside, nor exposes any motivation why pilots and ground-crews would be so enthusiastic about poisoning their own families and countrymen. Note I am also a critic of the CO2 theory of Global Warming, and do not support weather modification experiments utilizing chemical or metallic agents sprayed into the atmosphere, nor geo-engineering, nor GMO crops from Monsanto. My background is in geography, climatology and environmental science. I am in fact one of 700 PhD-level climate scientists who lent their name to Senator Inhofe's US Senate Minority Report of 2008 presenting a summary of scholarly opinion critical of the CO2 theory as presented to the US Congress, as well as to have signed the 2009 Open Letter to President Obama along the same lines. Seen this photo on the "chemtrail" websites, claimed as "proof"? Click on it to see what it really is. Also review these photos of aircraft parts and interiors often misrepresented as "proof of chemtrails". 1. The term "chemtrail" is a re-definition of ordinary Aircraft Contrails, and includes the claim that they are something "new", that poisons are being deliberately sprayed on the general population from commercial and military aircraft, and includes such details as "chemtrails persist while contrails do not". At root, this is a regrettable misinterpretation of classical air-pollution and aerosol science, and of known meteorology of clouds and contrails. But in many cases, the "chemtrail" idea is promulgated as a deliberated falsehood connected with politically-motivated conspiracy theory. Or, the "chemtrail" idea is further abused in schemes to sell devices which will "eliminate chemtrails" and "save the world". In fact, ordinary aircraft contrails have been observed, and observed to persist or even spread across the sky, since the very first days of high-flying aircraft. There also is no proofs that the claimed toxic materials gathered from the air are anything different from what would be found if no aircraft were flying overhead. On a few rare occasions, people have witnessed cloud-seeding aircraft, or aircraft spraying pesticides on crop fields, and we might even allow for the even more rare example of an experimental aircraft spraying something unknown. But that is no evidence for the larger "chemtrail" conspiracy theory, of massive fleets of government or military aircraft deliberately spraying toxins into the air, or that civilian passenger jets have been secretly modified to spray unknown poisonous materials. 2. There are some regions where aircraft contrails have become more frequent than in the past. This is due to the increase in civil aviation and passenger jet traffic over the decades. If you live under an air-corridor, which are like "highways in the sky" where jets frequently fly overhead, or a region where two or more of the air-corridors cross overhead, then you will observe many more aircraft contrails than people living elsewhere. Especially if you live within 50 miles of a major airport, where passenger jets will routinely descend to just below cloud level, cruising at 5000 feet or lower and making all kinds of turns as part of their approach to the runways, the contrails will not only be very abundant, but will also then appear to criss-cross each other. Especially near big city airports, you will see an abundance of such contrails, and also get an unhealthy dose of ordinary air pollution, as the exhaust from jets is substantial -- they basically use kerosene-like fuels, mixed with other fuel additives. When they take off and land, anyone living nearby will get a nasty smell from all of that. But you would never experience direct air pollution from a high-flying jet, thousands of feet overhead, as by the time that jet passed over the horizon, the exhaust from it would still be blowing around in the upper atmosphere, and it might take days or weeks before it would filter down to the ground level, and only then in some distant location. Any aircraft exhaust mixes with the atmosphere and is blown by the winds, but does not settle down to the ground except when those aircraft are at low altitudes. The atmosphere is also naturally charged with mineral dusts blown up from the exposed earth in rural or desert areas. Dusts blown up from urban areas can also contain an abundance of very toxic materials, such as petroleum-combustion by-products, materials from the wear of tires and brake linings, from land-fills and factories, etc. But none of that provides support for the larger conspiracy theory about "chemtrails". This website shows how tiny invisible aerosol dust-particles move from the large Saharasian Desert Belt outwards around the globe, to affect and choke-up distant regions. It also tracks aerosol particles from agricultural smoke, as from the widespread "slash and burn" methods used in the tropical regions. 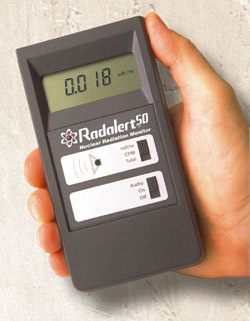 It additionally detects and displays sulfate pollution in the atmosphere, as comes from industrial regions. In fact, from observing a few days of this moving satellite loop, one gains the impression that there are very few places on our small planet which are not periodically afflicted with aerosol and chemical air pollution from desert-dusts, agricultural burning, or industrial pollution. In fact, industrial pollution seems to constitute the smallest fraction of the problem, though in the Northern Hemisphere regions removed from both big deserts and burning tropical forests and grasslands, it is the major problem. It suggests an atmospheric problem which began many thousands of years ago, of massive deserts and fire-smokes spreading their hazy and stagnant atmospheres around the world and even across the oceans, creating droughts and heat-waves in distant lands. When those fearing of "chemtrails" look up in the sky and see the thin hazy layer which blocks out the sun, or when the lower atmosphere if filled with hazy aerosol pollution (which can include all the mineral constituents of soils) and suffer respiratory problems, the long-distant transportation of desert-dusts, agricultural smokes and industrial pollution is the very likely cause. That they should observe airplanes scooting through that same atmosphere, and leaving contrails behind them, is with few exceptions purely coincidental. 4. Some of the chemtrail websites identify laboratory results where rainwater was analyzed for the presence of unusual minerals. However, the presence of insoluble minerals in rainwater, such as aluminum or barium, is a fairly natural occurrence, and cannot be attributed automatically to some kind of mysterious aerial spraying. Raindrops form around tiny mineral aerosol particles, the cloud condensation nuclei, and those particulates come down with the rainwater. Certainly from aircraft alone there is much "stuff" coming out the exhaust, and close to airports where they cruise at lower altitude in the landing and take-off patterns, that material will quickly drift down to the ground. It will often smell like the typical diesel-powered bus or large truck. Gasoline and kerosene as used in propeller or jet aircraft is a toxic brew, with all kinds of mineral material brought up from deep within the Earth when the crude oil is originally pumped, plus all the additives and conditioners put into the fuel at the refineries. Homes close to airports will sometimes get quite a dose of this, and the jet exhaust can be smelled. Likewise, in industrial regions where the burning of petroleum products or coal is abundant, these and many other naturally-occurring minerals, plus other exotic compounds created from combustion, will be injected into the atmosphere, and blow widely around. Likewise in regions of heavy automobile traffic, for similar reasons. Such minerals are also natural constituents of the Earth's crust, which is how they get into the petroleum products and coal materials in the first place. They are also taken up into vegetation from soils and groundwater, and from there can be injected into the atmosphere when the vegetation burns. Tropical soils are especially rich in aluminum and iron oxides, and barium is a trace mineral found in soils and glacial loess. Dust storms over the large deserts, or from barren loess regions inject massive quantities of this material into the atmosphere. An internet search of word groups or phrases such as "barium in soils" or "aluminum in aerosols", "barium in desert dusts", etc., will turn up dozens to thousands of websites, mostly being research papers by agricultural scientists, geologists or air pollution specialists. One merely has to review the titles or Abstracts of those articles to confirm how these and many other mineral constituents are found in fire-smokes and desert or glacial-loess dust clouds, being blown around in the atmosphere globally, and sprayed out tail-pipes and industrial smoke-stacks around the world. We should therefore expect to find those minerals in any atmosphere where desert dusts or agricultural smokes are blowing around, and of course the weblink given above to the TOMS aerosol satellite gives a real-time confirmation of the worst aspects of this problem. This is basic "Air Pollution 101" science, which seems to be thrown out the window in all the rush to blame atmospheric problems on the CIA, or the UN, or Morphing Space Lizards (see below for details on that). In one recent rainwater sample I know about, taken from Mt. Shasta region where claims were made of frequent "chemtrail" spraying, the levels of aluminum were found to be 1.01 milligrams per liter. However, by EPA estimates we eat about 7-9 milligrams of aluminum in our food every day, given how it is a naturally-occurring element in the Earth's crust and soils. So if you drank 7-9 liters of that rainwater, you'd be getting about that same amount as from food. There is a bigger problem, in my opinion, with aluminum cooking pots, or people overdosing on aluminum compounds in antacid pills, or aluminum in anti-perspirants. Barium in that same sample showed only 8 micro-grams per liter, or 8 parts per billion, an exceedingly tiny amount. By comparison, the EPA sets a limit of 2 milligrams per liter for barium in drinking water, which is equal to 2 parts per million. In that case, at least, there was no evidence to support the claims of high levels of aluminum or barium in the atmosphere. 5. Another aspect of the "chemtrail" phenomenon which the believers have embraced, perhaps without considering too carefully the implications, is the need for a conspiracy of airline pilots, ground crews, fight controllers, and both military and civil aviation authorities in the willful poisoning of their own families, neighbors and fellow citizens. Why would they do this? Or more to the point, if this was being done -- as "orders" from the military, or from "bosses" in civil aviation -- why would not these pilots and ground crews refuse the orders, and go public in a loud manner. One has to presume, some kind of zombie-like stupor which would persuade these skilled professionals to happily spray poisons all over everyone, including those whom they love. Someone has to fill the airplanes with the claimed toxic chemicals, fly the aircraft over the claimed "target area" and then throw the spray-switch. It is simply not credible that large numbers of ordinary military and civilian employees would do that, without it becoming public knowledge and a major ruckus being created about it. What answer do the chemtrail advocates have for this? Nothing, aside from vague claims of unknown persons who are said to have made public testimony, but nobody listens to them. Or it is claimed, they are fearful for their lives if they dare to speak out, and that kind of thing. But this "explanation" is even more incredulous than the chemtrail theory itself. I know fully well about taking personal risks in favor of exposing government or corporate malfeasance, and how retribution can come from doing that. And I know plenty of people who also have stood up for unpopular causes, or to expose deadly situations of equal consequence to the claimed "chemtrail poisoning". None of them hide behind the cloak of anonymity, and they have sacrificed jobs, professional standing, and taken great risks. So that requirement of the chemtrail theory is simply not believable. And it is not like the Manhattan Project, where secrecy was maintained through motives of patriotism during a terrible war against fascist aggressors. So how do the leaders of the chemtrail cult explain this? They have an even more profound answer to this question, of why and how pilots and their supporting crews would be willing to poison their own families and neighbors. Their answer is, that these skilled mechanics and pilots had been "taken over by shape-shifting space-aliens" of a "reptilian" nature. They are fully convinced of this, and say it with a straight face. This crazy idea comes from the science-fiction writer David Icke, who has written multiple books on the subject, and who apparently is quite busy selling books and giving lectures to all the people who believe his stories as fact. The idea was taken up by the original chemtrail cultists due to its paranoid resonance with the "evil extra-dimensional demons" postulated by the Saint Germain cult out of Mt. Shasta, which is where some of the major chemtrail and chembuster advocates came from. So that is their answer, to the big "Why" -- shape shifting reptilians from outer space have substituted themselves in the place of all these professionals, and into high-up positions of government and military (internationally now, to include the UN officials). They are, by this idea, out to poison the population of planet Earth, for a final space-alien take-over. Whether you have seen a UFO or not, or believe in the concept of extra-terrestrial civilizations is not at issue here. I personally have seen unidentified objects flying in the day or night sky, and have written about them. And I agree with Carl Sagan and other professional scientists, who have computed there must be tens of millions of inhabitable Earth-like planets in our Milky Way galaxy alone. There is plenty of good scientifically-defendable evidence and reasonable arguments which can be made in favor of the basic UFO question, that they might be inhabited spacecraft from extraterrestrial civilizations. But it is a gigantic leap fully lacking in independent evidence, to proclaim into existence a fairy tale about "shape-shifting reptilians"... even if such an idea is necessary for the equally unproven claim that all persisting jet contrails are "chemtrails". For you believers in the "chemtrail" theories who are uncomfortable with these rather psychotic and paranoid aspects, be aware of this because since I began exposing this craziness about the "shape-shifters" and "reptilians", the leaders of the chemtrail cult and chembuster-selling businesses have stopped publicly talking about those aspects. Like Scientology with its "Thetans", you must now get to the high-up level of "chemtrail cult" before they will reveal the "ultimate truth" about the shape-shifting space lizards, out to "kill humans and take over Earth". It really does break down into ridiculous science fiction at that point. But occasionally, they will drop the term "reptilian" here or there, indicating the background origins of the chemtrail theories. Today, of course, the push is to dress up everything in scientific terms, so to be taken seriously, and to sell chembusters at $300 a pop. So the morphing space-lizard theory for chemtrail motivations must be pushed into the background. And just in case you think I am making this up, here are a few weblinks from the Don Croft "Educate Yourself" and another website, where such ideas about "evil shape-shifting space-alien reptilians walking among us" are openly entertained. These weblinks are mostly for the innersanctum of the chemtrail lobby, as if these psychotic ideas laden with sadistic monstrosities were more widely known, it would discredit "chemtrails" in the eyes of more rational people. Much of what is discussed on these websites also comes from the Saint Germain cult, which speaks about evil semi-visible demons and the breathing exercises deemed necessary to repulse them. For all who believe "chemtrails" are merely about Monsanto and the CIA, fighting global warming by geoengineering, etc., get a clue, read what the inventors of the chemtrail monstrosity are saying. And if you really care about stopping Monsanto GMOs and patents on living organisms, and real geoengineering hazards, then just consider for a moment how self-defeating it is for your efforts to be mixed up with such crazy ideas as "chemtrails", "demon reptiles" and the like. This leads us into our next point, about how the discoveries and terms of the late Dr. Wilhlem Reich are being misapplied and abused to suppor the "chemtrail theory", notably in the selling of a gadget called the "chembuster". I elaborate upon this below, but it needs to be clearly stated, there is nothing in the work of Wilhelm Reich -- who also observed UFOs and wrote about it scientifically -- nothing in his writings could support the morphing space-lizard theory, "chemtrails" or not. Reich was a scientist. The founders and leaders of the chemtrail-chembuster cult are not. 6. The name of Wilhelm Reich, and his terms orgone, dor, cloudbuster, atmospheric self-regulation, atmospheric pulsation, cosmic orgone engineering, etc., are being maliciously and deliberately stolen away and distorted by the leadership of the "chemtrail/chembuster" movement, which today appears more like a religious cult. And they abuse Reich's terms without any sense of their original scientific and quite rational meanings. This is deceptive and unethical stealing, and in most cases constitutes willful lying. They also try to re-shape Reich into some kind of CIA agent involved in mind-control research, as per the conjured up claims from a book by Al Belik, "The Montauk Project" (see the reference at the bottom). There's not a shred of truth to that either. The leaders of the chemtrail/chembuster cults know exactly they are lying, as do many of their central willing followers. In fact, Reich's discoveries have been stood on their head and misrepresented exactly opposite to their original meanings, which is yet another evidence of their lies. Reich emphasized, that a healthy atmosphere with good cloud-forming and pulsating properties will naturally support the development of persisting aircraft contrails. An atmosphere that has lost this contrail-forming and supporting capacity may be prone to droughty conditions, contaminated by what he called "DOR" (visible as atmospheric haze or "pollution clouds", see here), as per the following telling quotation: "DOR absorbed the moisture from the clouds; the clouds, after having become fuzzy and thin, dissipated and fell apart. On the other hand, where there was no DOR in strong concentration, where the sky was bright and blue, clouds formed and held easily. They grew by merger or apposition of newly formed clouds. Now, the same behavior could be seen with regard to the jet vapor trails. The vapor emanating from the jets would hold together for a long time and over miles of sky when the sky was bright and blue, when DOR was absent. On the other hand, the vapor trails would be thin or would not be visible at all, they would not last long, would dissipate quickly when DOR was heavy. In very heavy DOR regions, the vapor trails would not form at all; they would reappear exactly where blue bright sky would surround heavy DOR clouds. ... From then onward one was able at will, at any altitude, in any region of the globe, at any time of the day to determine whether DOR was present in the sky or not; one could even judge the intensity of DOR clouds by the degree in which the vapor trails would fail to form or hold, by their thinness, length, etc. ...It was always with a great joy as well as gratification to see those jet trails reach from horizon to horizon when good DOR removal work had been done." -- Wilhelm Reich, Contact With Space, 1957, p.89-91. This above quote from Reich agrees fully with my own extensive work and research investigating Reich's original and authentic cloudbuster device, that jet contrails will quickly dissipate, and not form easily in a droughty DOR-infested atmosphere. However, they will develop quickly and persist in a healthy DOR-free atmosphere which also, because of the same orgone-energetic properties, will promote cloud-growth in a more general manner. These observations totally contradict the posturing claims of the chemtrail/chembuster "experts", who nevertheless throw around Reich's name and terms as if they really understood what they were talking about. They do not. With correct operational procedures, correct use of a cloudbuster device can turn a droughty and hazy atmosphere more clear and blue, reducing or eliminating it's hazy characteristics, after which well-formed clouds, as well as jet contrails, will become possible. This kind of energetic transformation may only take a few minutes or hours of work with the apparatus, and it is most remarkable to see. If you work the cloudbuster improperly, however, as with the typical chembuster being set up to "work" over days, months or years, then one might get a temporary intensification of the blue and haze-clearing reactions. But it becomes "too much" such that neither aircraft contrails nor rain-bearing clouds will naturally form anymore. People may feel "excited" with the energetic expansion, but when this same orgone-excitation is prolonged over weeks and months, it converts the life-energy into a DOR-stasis condition. By this mechanism, the chembuster works to create DOR, to intensify DOR conditions, to make the atmospheric stasis and DOR condition worse, and finally to then kill cloud growth. 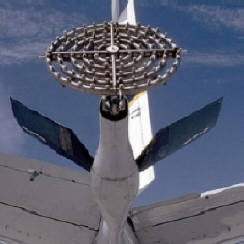 The "chembuster" does not discriminate between "only" aircraft contrails and ordinary clouds. When clusters of chembusters are put up all over the place, willy-nilly, and left in place and working over days and months and years, it creates an atmospheric over-excitation and chronic energetic expansion which destroys natural atmospheric pulsation and self-regulating capacities. It creates and intensifies a DOR condition, with over-excited oranur tendencies. This atmospheric energetic tendency can dissipate aircraft contrails, but it also erodes cumulus and all other clouds, without discrimination. For these and other reasons, I wish to emphasize, the Chembuster is a Cloud-Killer. 7. "Chembusters" are Cloud-Killers, and most of the people buying them and putting them into the air are not farmers or naturalists with any appreciation of natural weather cycles, who watch the weather every day and so can tell you what the weather patterns are, or how the chembuster might affect them. Many big claims are being made, totally at odds with the observed facts, and often by untracable "anonymous" sources. The leadership of the chemtrail/chembuster cult also mixes up some small bits of science with fully unsupportable claims, inappropriately citing the biomedical literature on the very real effects of air-pollution or industrial contaminants, as if it had something to do with "chemtrails". So one can find articles dealing with silica-related lung and skin diseases, or studies on women suffering from leaky breast implants, being abused to support "chemtrail theory". For the non-scientist, such unrelated citations and photos of people suffering from skin and lung or blood diseases superficially gives their webpages the aura of "science". By analogy, this would be like someone taking names at random from the telephone book, and claiming they were close personal friends and character witnesses. You will not know the degree of falsehood until you dig deeper into the claims. But the average person who becomes curious about chemtrails and chembusters is a more honest ordinary person who, due to their naivete and ignorance about weather science and ordinary air pollution, or because of their frustration about a difficult health problem, has been hoodwinked by chemtrail alarmists, selling their gadgets and delusions. So they are off buying "chembusters" and "Holy Hand Grendades" and "Orgonite" trinkets, thinking these actually do something. Or mean something. People are also being misinformed about Wilhelm Reich and his legitimate and authentic discovery of the life-energy, as if his findings would support the chemtrail hysteria (they do not, see here). Others get involved in "chembusting" out of boredom, like they were "going fishing", while others may get involved with it for very mystical or even paranoid reasons, or out of a desire to "be the hero", or to overcome their own sense of inner powerlessness. Some are desperate people, who have too-quickly embraced an idea without adequate critical examination. Others are pot-heads or drugged-out, mystics from religious cults who have fully lost the capacity for critical thinking, and who embrace the "chem-buster" for ill-considered reasons. They may be impulsives who act without thinking about the consequences of their actions, that they might be creating droughts with their atmospheric meddling. And some simply do not care if their chembuster networks produce severe drought, and land is turned into desert, or if forest-fires wipe out all of nature. Weather and rainfall is not important to them. They feel they are at war with "shape-shifting reptilians" who are out to "poison all humans" on the planet, following on the fairy-tales of David Icke. See the letters below for evidence on this, which is concealed from the average person who stumbles onto the "chembuster" websites, mistakenly thinking it is "rational alternative science". The ideas of "chemtrails" and "chembusters" therefore has a point of origins within very disturbed drug-related paranoia embraced by religious cultists, salted up with science fiction writings. 8. If you are thinking about building and using a "chembuster" our best advice is don't do it. Don't join the ranks of those who are filled with hatred for Wilhelm Reich's original work, and want to make droughts, forest-fires and add to the drought-misery of your friends and neighbors. If you already have built one, and only now are reading these criticisms, then take it down, recycle the pipes at a scrap-metal yard, and throw the base into a land-fill. You can then satisfy your curiosity about these issues by getting some of Reich's own books to read, and starting on a genuine program of self-education about his Discovery of the Life Energy, which is authentic and confirmed, verifiable science. Also, please alert your friends in the "chembuster movement" about this webpage -- but also be prepared for a big shock, as they will probably shun you, attack you, delete you from their internet discussion groups, and treat you just as if you challenged the divinity of some guru in a religious cult. We have examples of this happening already. Because, at root, the "chemtrail/chembuster movement" is a religious cult, supported by "believers" and has no science whatsoever standing behind it, other than what they can try to steal from others, and distort for their purposes. As noted below, we have many cases where multiple chembusters had been promoted to "help the atmosphere" but instead were followed by severe drought which ended only after these devices were taken down and dismantled. So it appears, the chembuster does have a limited atmospheric effect, based as it is upon a small part of Wilhelm Reich's findings. But none of the safeguards Reich developed are applied by the chembuster advocates. Reich used his devices for only minutes or hours, a few days at most, while the chembuster cultists set up their devices permanently, forever. So to those involved with "chembusting", I say: Stop trying to be an amateur "weather-modification expert", and empowering other people with your money and attention, who don't care if the world burns up with drought! Screwing around with natural processes by chembuster-mania makes you no different than the nature-haters of mainstream science, who blast the aurora or atmosphere with radio-frequencies or chemical seeding agents. Nature does not need more ignorant people (or arrogantly-willful self-deceptive nature-haters) screwing things up. 9. Also in conversations with chembuster devotees, I have learned that many of the younger ones are doing this while stoned out on pot or other psychoactive drugs. So to them I also say: Stop with the pot-smoking and drug-taking. These substances are emotional pain-killers, and not agents to "expand your consciousness". They work to suppress emotion, and to smother your life-energy behind a wall of stasis and illusion. They may help you to feel a temporary bioenergetic expansion in your head, but they also will push deeper the emotional misery of your life as it is today, and which is responsible for the hard emotional contractions against which you are struggling. Perhaps your street-drugs are less toxic than alcohol or psychiatric drugs (maybe), and you will "fit in" better with the exisitng counter-culture, and have lots of superficial "friends" based upon drug sharing (how different is this from the alcoholics!?) but they are toxic nevertheless, and only help imprison you within an emotional trap, where betterment of your life-situation will be nearly impossible. The psycho-drugs may create a temporary expansion of the occular segment of the head, thereby delivering visual hallucinations, and maybe some temporary capacity to see a distorted impression of life-energy phenomenon... but these are fully distorted impressions of things which can be seen by many healtier people without the drugs. Or they are hallucinations derived only from your inner emotional turmoil, and are not evidence of anything "out there". They do not make you "more spiritual", but less, and actually work to distort your perceptions of nature and the outer world, delivering only false impressions of natural forces. They cut you off from nature, the life-energy and reality, and do not make you "more attuned" or "spiritual" by any measure. Yesterday I read your script on the internet "So you want to build a cloudbuster" and found it very interesting as i can relate to parts of it. When I was younger, the lovely balanced much greener landscape and crystal clear rivers full of life I loved but used to take it for granted. Now, it breaks my heart to to see the landscape, rivers and atmosphere becoming more barron as time goes on. Almost to the point of no return it seems. With a genuine ever growing interest in chemical free farming, nutrition, homeopathy,energies, radionics and orgone energy for the benifit for all , I came across Mr Don Crofts Chembuster construction which I set about making as I too have noticed more of these lines in the sky lingering for hours on end and also wanted to "balance" the atmosphere. As it has been my own belief on my own observations before visiting any web sites that the land and the atmosphere has become "out of wack/ unbalanced" due to a lack of trees, plants, carbon levels in the soil and excess polution. Also a factor in our area's case are "hail cannons" or "sonic booms" (fruit growers trying to protect their crops from hail damage using these devices) futhur up the storms path. It's becoming repeditive, each month when we finally do get cloud cover with a good build up of moisture within the clouds~ nothing happens. Unlike a few years back whereas the same clouds would have produced reasonable rain. As you would allready be aware of I imagine. The morning I finished and erected the "chembuster" there just happend to be a couple of don's chemtrails lingering to the west as well as a DOR haze . Within 15-20 minutes it could already be noticed that firstly from the east to the west there appeared to be a clearing of the haze and the 2 chemtrails as well as the odd small cloud that went drifted in the vacinity. At this point I had to return to work for a week several hundred kilometers away. On my trip I had to pass through areas where there were coal power stations and noted the atmosphere very hazey(not smokey) over a very large area and made a mental note of the clear sky back home. When I returned home a week later I also noted that there were no decent clouds or haze in the imediate area of the device only ones on the horizon making me review and observe the apparatus. I remembered some people putting jar's of water in the centre of the pipes and wetting it down, which i set about doing. Apart from bubbles appearing in the jar and slowly rising to the top, I think I vaguely saw the upper atmosphere looking a deeper blue with a slightly greyer kind of blob in the middle for only a short period. Smaller clouds that drifted near, wisped away to nothing to my amazement and dissapointment. That night i found and read your article "So you want to build a cloudbuster" also reading your work in Israle and Namibia. From my short lived practicle (impracticle yet informative) experiment I also agree that the chembuster that I made was/is doing more harm than good being left unattended day in, day out in the one spot. I also feel it may not pulse correctly or upset the natural rhythm of the earth from a biodynamic perspective. That night after reading your articles I took down the pipes off the top of the resin and shavings and tiped it over onto it's side. Later on that night I recall frogs starting to croak and by mornign we had a thick cloud cover that looked like rain again through dawn till mid morning. I have a suspicion that the resin/metal shavings mix still may have an effect on atmosphere while tiped over. I would like to know how you isolated your "croft chembuster" to make it inactive from having it's normal detrimental effect to the atmosphere and surounding areas in your tests when you isolated it (to stop it from working~ i'm not very good at explainign myself sometimes). Are there any other uses you may be aware of that it can be benificial for, or modified /changed as it seems a shame to smash it up, having in mind the price of the copper and the resin when it may be of benaficial assistance in other orgone accumulating ways mabe. I was also wondering if you could point me in the direction of obtaining some books/ information on Reich and related topics from your website within Australia if you knew of any??? As it would be great help as I have had my eye out for them, but they seem to be unheard of in bookstores I have tried so far. In any case, I got emails from the woman farmer, alarmed that the rains had ended in her region, which gets only a short rainy season and many months of dry. I had gone to Namibia on the invitation of a group of farmers there, and together with associates and friends in Germany, we had undertaken an ambitious cloudbusting operation in 1991-1992, which ended a 12-year drought pattern, the last 3 years of which had been exceptionally acute and severe. In any case, that was before Mr. Croft arrived and informed them about his "new improved" device, the chembuster, which promptly produced a big drought for the Namibians. My advice to the woman was, dismantle the chembusters, take them down, as they only work to create an atmospheric expansion, which leads to a cloud-free, cloud-dissipating condition. They do not "regulate" anything, but merely create expanded energetic conditions which puts an end to local cloud cover. In a "network", they can produce regional drought, and there's another example of this from the Netherlands, where a cluster of the chembusters was set up, after which a massive drought and heat-wave hit Europe. In another example, when a bunch of the chembusters were set up in the Pacific Northwest, maybe 5 years ago, a severe drought followed, but I could not convince Mr. Croft to undertake even a small experiment, to take his apparatus down. So we had much drought and massive heat-wave and forest fire. Fortunately, the Namibian woman took my advice and took down her chembuster, and convinced several of her friends to do likewise. Rains resumed "within an hour" at her place, and regionally rains returned as well. Now comes your story, which again confirms what I have been saying for years, that these "chembuster" devices are in reality "drought-makers". It would not bother me so much if only farmers used these devices, as a farmer like yourself is dependent upon rains, and will notice quickly if some new device causes the clouds and rains to dry up, or increase. But many of his network of followers are back-yard experimenters without interests in nature or rainfall, or worse. Many are followers of religious cults whose goal is not rains, nor even air pollution -- they view the "chemtrails" as evidence of "shape-shifting reptilian aliens from space" who have taken over the bodies of various government people, airline pilots, ground crews, military people and so forth, whom all are in a giant conspiracy to poison the planet. So they "go to war" with their chembusters, and celebrate whenever the sky dries up and all clouds vanish. The use of Wilhelm Reich's name in all of this is of course another insult to facts and truth, as Reich noted a healthy atmosphere would spontaneously form clouds, and a jet aircraft flying in such an atmosphere would readily form a contrail that would hold together for hours. As to the chembuster itself, so long as the tubes are not pointing towards the sky, it should be fairly safe, but please rely upon your biophysical sensations. Such devices can remain "hot" energetically for some weeks or months after use. To really be sure it is not having effects, you can immerse it into a pond, or simply hack-saw the copper pipes off for recycling, and maybe use the resin-bucket as a boat-anchor? Please review the booklist at our website, which we do our very best to keep clear of nonsense, and focused only on solid and factual materials. http://www.naturalenergyworks.net Also review the booklist at the Wilhelm Reich Museum bookstore, which carries a lot of material from Reich which is out-of-print. While sometimes pricey, if you really want to learn about orgone energy, you'll have to go to printed books, as only a few reliable items are on the internet. My website carries a lot of links to give guidance on this. I've said more on this issue at the above website, and so you should read it as well. With your permission, I would like to share your email and my reply to it with a few friends, and secondly if you approve to post it to our on-line newsletter, OBRL-News, which I could do without your name and location if you wish. It's Andrew here from Queensland Australia, just letting you know on the progress of the rain activity here. Aftrer dismantlening the chem buster like you had suggested, it began to rain aproximatly about a week later to my and everybody elses delight, going on reports from home as I am still working aproximatly 800 km away at the moment and i can't do any detailed oberservations. So far to date we've had over 8 inches of rain around our area which has fell quite steadily not creating a great deal of run off but soaking into the very thirsty earth! All around the state we've also had quite wide spread rain as well!! I returned home 4 weeks later to find everything sooo green and the gullies full , our dam full which hasnt been full in years!! Not to mention the frogs going beserk which is very soothing to hear! Oh yes your books that i orderd arrived very quickly and safely thanking you very much, I am quite eager to read more on such a facinating subject, to the idears in the books. Thanks for your kind reply, and I am very happy to learn of the return of your rains after the "chembuster" was taken down. It is yet another confirmation of my fears about those devices. I will soon post out your email to our larger group, and may also put it to the "Chemtrail" webpage if that's OK with you. Hopefully, more in the "chemtrail/chembuster" networks will read your report, and realize my concerns and criticisms are valid. Keep well and thanks very much for keeping me informed. The following letter has been sent to a number of persons who inquired at OBRL about the Croft "chembuster". It was also sent to Mr. Croft, whose only reply was to say that his device was "becoming popular", without expression of interest in the issues being raised. I get quite a few requests for my opinion about the Croft chembusters, which I must unfortunately tell you are not a good idea, unless you want to take the risk of drying out your atmosphere and disturbing the natural atmospheric pulsation. I've been meaning to make another try to get the Croft group to stop promoting and selling this technology as if it were pancakes or dish-soap, so my reply to you will be a bit longer than necessary, with copies going to them as well. The principle upon which the Croft chembuster functions is similar to what Reich discovered years ago, with his "ordinary" cloudbuster -- the principle of atmospheric-energetic expansion. In spite of claims otherwise, his device is similar to a dozen or so other devices which have come and gone over the years since Reich's original discovery. I've been engaged in this work using the original "old fashioned" approach of Reich since the late 1970s, and will simply report that his claims are nothing new. However, Mr. Croft is the first to advocate using these devices on a full-time basis, which creates a major problem. Reich used his cloudbuster only for a few minutes or hours, or for a few days at most during severe drought or hard desert conditions. Every responsible cloudbuster operator knows this, follows Reich's safeguards, and as a consequence, they get good results which can be documented in rainfall measurements from official sources, over wide regions. In the case of the "chembuster", which is set up and put into operation for months on end, perhaps permanently, this can potentially create an extreme situation of atmospheric over-expansion and over-charge, which are associated with droughts and desert-winds. Dissipating "chemtrails" (aka, "jet contrails") also dissipates ordinary clouds, and Reich himself noted that an atmosphere which allowed the development and persistence of jet contrails also allowed the development of ordinary rainclouds. I had an email exchange on these issues with Mr. Croft in September of last year, when massive forest-fires were widespread across the droughty West, but he claimed his devices "self-regulated" (a term developed by Reich but distorted and misapplied in this case) and that good rains were falling in his area. But he provided no evidence to support this claim. In opposition, I pointed to the fact that the entire NW part of the USA, from Washington, Oregon, Idaho and Montana, began to dry out around the same time that the Croft network of chembusters began to be set up through that region last year, and you can confirm it by reviewing the drought maps in archive available from NOAA. http://enso.unl.edu/monitor/archive.html Compare any of the images from January 2001 to later in that same year. A small drought area centered in western Montana and northern Idaho expanded to eventually encompass the entire Pacific Northwest. Coincidence? Much of the west got a lot of rain and snow when the CORE Network, of which I am a senior working member, initiated cloudbuster operations in mid-November of 2001 using the "old fashioned" method of Reich. We received 72" of snow within three weeks afterward, and much of the coastal Western states have dramatically improved. I'm only sorry that we could not organize things for a quicker response. Much drought remains, however. The original Reich operational methodology is typically short-term, lasting only hours or a few days maximum, and the effects last for weeks or longer, spreading widely to cover very large regions. But everyone in our network noticed the tendency for the atmosphere to quickly revert back to dry conditions -- this might be related to the Asian dust storms, which cross the Pacific Ocean to affect the West Coast (I assume you know about that), or it very well could be the consequence of all the Croft "chembusters", setting up a widespread cloud-dissipating influence. Another clear example came in Namibia, where Mr. Croft lectured in January of this year, and got six of his devices set up at that time. I got emails from friends in Namibia whom I had trained in the original Reich methods in 1991-92. In those years, I led a cloudbusting expedition which was directed against a major 3-year drought which had affected nearly all of Southern Africa. That work was coordinated with permission and assistance from the Namibian Government, and by several German professionals, one of whom worked with the GTZ. Those experiments are written up in my publications, and are a matter of record. In any case, my Namibian friends became quite alarmed because this year, after several chembusters were set up in the region, the rains completely stopped. Factually, it had not rained for two months since they set up their chembusters, and this was during the normal rainy season. (Desert lands are much more sensitive to such influences than moister regions.) When they informed me about the situation, I suggested they immediately take down the Croft devices. Quickly, four of the five or six chembusters were taken down, and rains resumed almost immediately afterward, in one case, within hours after the apparatus was taken down. Mr. Croft thereafter misrepresented this episode to his internet group, as my having somehow meddled in his affairs -- but the fact is, his ignorance in misapplying Reich's discovery was a major meddling with natural atmospheric processes, and nearly led to another drought catastrophe in Namibia. Rather than condemning me, he should have started asking tough questions about why the rains dried up when his devices were put into operation. As a scientist, where uncertainties are always acknowledged, I cannot be 100% certain his network of chembuster devices was the cause of drought in these cases -- there is a large desert-spreading out of Saharasia now for 6000 years, there are also natural cycles of rainfall and drought which are not well-understood, and the atmosphere is negatively affected from a host of human sources -- but chembuster-drying is a very real possibility, supported by the direct observation of the jet-contrail dissipating influences of the "chembuster". I continue to point this out in hopes that persons in his group will be on the watch for such deleterious influences. So far, I've got no response from Mr. Croft except a contemptuous dismissal of my concerns, and the claim that I am insufficiently open-minded to his "innovation". Subsequent postings to his e-group misrepresented my work, and the Namibia affair, along with ridicule for my daring to make a criticism. He has also censored and excluded people from his Yahoo e-group list who have dared to raise challenging considerations, or to discuss Reich's original findings in a more straightforward manner, which in my view speaks volumes. If it were only farmers using these devices, I'd have less concern, as farmers at least are outside watching the sky and weather patterns on the satellite images, watching the storms and jet streams, and with exception of lettuce irrigators really want to have good rains. They also tend to have their feet on the ground. So if they know these devices risk drying things out, and they saw the atmosphere drying out, they would take them down pronto, and study the matter in more depth, as their financial existence would be at risk. Unfortunately, many of the people who have erected the cloudbuster/chembusters are not farmers or foresters, or naturalists, but people living in cities who have no kind of on-going contact with nature. And they put up these devices for reasons that are not entirely clear, having to do with fears about aliens or demons and being "poisoned by the government". In example, we got a call here most recently from a terribly anxious woman who lived in a trailer, in economic distress, asking about putting up a cloudbuster in her backyard, as she was frightened of aliens and had respiratory problems. Other persons who have called here turned absolutely rabid when I advised caution, suggesting aggressive power-destructive motivations on their part. And let us be clear -- Croft himself and many of his most central followers are advocates of "shape-shifting reptillian aliens" or "evil demons" in other-dimensional realities, which are the major focus of their concerns. The "chembuster" theory imlicitly assumes toxic materials are being deliberately sprayed by airplanes, for the purpose of killing people (to make way for the "reptillians"?). They also sell devices like the "Holy Hand Grenade" which is supposed to create an invisible "violet flame" similar to what the old Saint Germain cultists claimed was created during their meditation chanting, to chase the demons away from your home or office. This is purely psychotic nonsense, and many of the chemtrail-chembuster leadership appear to be refugees from that cult. The "violet flame" is also the basis of their attractions to the research findings of Wilhelm Reich, whose orgone energy discovery has a bluish coloration. By using a "chembuster" they can simultaneously do battle with evil shape-shifting reptilian space aliens, and also create a "violet shield" of blue orgone which, they feel, drives away all the evil other-worldly demons lurking nearby. So their efforts to "change the atmosphere" often have little to do with normal meteorological issues, such as drought and rainfall, but instead are directed towards "protecting" themselves from non-existing "demons" and space-wars with shape-shifting space aliens. Overall it is paranoid nonsense which only gains some tacit support from ordinary people when these kinds of details about the history and motivations of the central chemtrail-chembuster leadership are concealed. In our CORE Network, for training in Reich's original methods, we screen such people out, and everyone gets a rigorous training and apprenticeship. In the chemtrail-chembuster organization, you simply plunk down a few hundred bucks, and you are an "instant weather-modification expert". You are screened out only if you become critical of their collective psychosis, or read Reich's original works and start asking the wrong questions. It is yet another example of crazy human beings make a train-wreck out of natural processes, even while self-righteously claiming to be "doing good". That they do all of this abusing Reich's name and discoveries, parading around with the words "orgone" and "dor" as if they really understood what they mean, makes it all the more unpalatable. "So You Want to Build a Cloudbuster"
My advice is, it should be a prerequisite for anyone who might attempt working with the Reich-type of devices, to firstly make a study of classical meteorology and climatology, and also to make a thorough examination of Reich's original writings, including or especially the large amount of material in his original journals (which can be identified at our online Bibliography on Orgonomy). Direct experimental knowledge of orgone energy functions, as in the orgone accumulator, would also be absolutely necessary for anyone who might wish to understand orgone functions in the atmosphere. Afterward, they would best undertake an apprenticeship with people who factually know what they are doing, as nearly nothing of the basic information on authentic cloudbuster construction and use has ever been published in books or on the internet (in spite of claims to the contrary). And in most cases, successful apprenticeship in cloudbusting requires the candidate to undergo the authentic orgone therapy Reich developed, to rid themself of pent-up emotional-bioenergetic tension, and increase their ability to feel the orgone energy movement in their bodies, as well as in the atmosphere. People can, certainly, satisfy their curiosity about life-energy and atmospheric processes through personal reading and experiments with Reich's orgone accumulator technology, which if misapplied will only affect themselves. In any case, I've already written on this matter in my longer paper, as cited above. Reich's discoveries deserve to be taken seriously by the world, but this distorted business of "chembusters" is not the way, and will only add to the social and atmospheric chaos. Thanks very much for the video on chemtrails. I must confess to being quite skeptical of most of the claims from the chemtrail advocates, and the video you sent did nothing to change my view on the matter. If you consider the wide variety of air pollutants which we are exposed to -- automobile, bus, truck and industrial pollutants, real toxic chemicals in ordinary jet exhaust (they burn kerosene, which leaves a dirty exhaust plume), some cloudseeding chemicals, airborne dusts from desert regions and soots from agricultural burning, along with bioenergetic disturbances which affect cloud growth patterns, as from nuclear power plants and underground nuclear explosions -- it is no surprise that some people are complaining about respiratory problems and dirty air. But all of this has been widely discussed previously, going back many decades, and is nothing new (except that maybe some people are observing it all for the first time!). To claim that ordinary jet contrails are suddenly "toxic chemtrails", and to talk only about the claimed "chemtrails" as the source of all health problems, without reference to all these other well-known and proven sources of air pollution and atmospheric disturbance, strikes me as both evasive and hysterical. As you may know, I am a long-time observer of clouds and the atmosphere from the viewpoint of Reich's findings. When I was studying classical meteorology in the university back in the 1970s, there was open discussion about the possibility of jet contrails, because of their tendency to spread across the sky under certain meteorological conditions, creating cooler conditions at the ground surface and thereby affecting some kind of long-term climatic cooling (more on this below). Jet contrails, it is well known, can either dissipate rapidly, persist in a narrow band, or persist and spread widely -- it all depends upon the prevailing meteorology, and factually they are composed of ice-crystals just as are cirrus clouds at similar altitudes. The jet engine exhaust has a highly turbulent effect, with the air going from very hot compressed air (in the jet engine) to very expanded and cold air at the rear of the exhaust, allowing ice crystals to form in a rapid manner. The spiral-form movement of air off the wake of wing-tips or rudders creates a similar contrail -- if you have flown in jets, as I have considerably, you'd see these effects from both jet engines and wing tips. To claim the clouds making up contrails are suddenly toxic, beyond ordinary air pollutants, is simply paranoiac. There are also some references to weather-modification experiments, or climate-modification, and I would imagine that in a few places, people have seen cloudseeding aircraft, which do put out a stream of toxic materials -- as do ground-based silver iodide generators. But these are not ubiquitous around the country, and are small aircraft, not the size of commercial airliners. They also fly at lower altitudes close to the base of clouds, and not at typical jet cruising altitudes. Ordinary jet air pollution can be considerable, so I don't wish to dismiss that aspect, but this has been known about since the first days of the airplane, and is nothing conspiratorial or deliberate. A jet will burn a considerable percentage of its fuel load just taking off and climbing to its cruising altitude, so there is much to be concerned about in the regions close to big airports. But that is not what the chemtrail advocates are claiming. What evidence is there for marked or unmarked jets making deliberate spraying of toxic materials beyond ordinary air pollution? Dig into the claimed evidence, and you'll find nothing except ordinary things being misrepresented as something dramatic and sinister, much like the tale of chicken-little (hit on the head by a bit of falling wood from a tree, chicken-little ran around hysterically claiming the sky was falling, and got the whole chicken-coop into a panic). Reich's observations are also being interjected and misrepresented into this mix by some persons, namely his findings on deadly orgone - dor. But Reich's more central observations from the 1950s that ordinary jet contrails were a sign of a good cloud-forming atmosphere, a healthy condition, are totally ignored by those same persons who abuse his name. In the video you sent, notice that the days with good jet contrails are characterized by clear atmospheric conditions at the lower surface. Good days, not the ones where the lower atmosphere is literally choked up with hazy smog, pollutants and such. I've lived in the SF Bay area many years, and so have some feeling about this. And the idea of cris-crossing jet contrails is nothing dramatic or unusual -- it is expected in urban regions close to international airports, where there is a lot of jet traffic coming and going, heading off this way and that. None of the chemtrail advocates I know of have much interest in these more ordinary explanations, which do not require a vast government conspiracy, or evil demons or shape-shifting aliens, and possibly the reasons spring from that alone -- a theological belief that only they, with inside knowledge of this conspiracy, are the only truly caring and concerned people, while everyone else is either oblivious to the problem, or a wicked part of the conspiracy themselves. Air pollution, cloudseeding experiments, and atmospheric haze and contaminants are a big problem, and they should demand people's attention -- but this "chemtrail" business is a big evasion, and will only direct people's attention away from the real sources, and guide them towards imaginary problems, and therefore away from the real and effective solutions. Having said all the above, I am quite willing to completely reverse my position if some really solid and incontrovertible evidence is forthcoming. The few anecdotal reports of unidentified materials falling from the sky are insufficient, as are claims of microorganisms, heavy metals or metallic particles contained in some atmospheric dusts. These reports are so isolated, or often made without clear scientific protocols, or being made anonymously, such that they raise more questions than they answer, and in any case are not so highly unusual to anyone who has, as I have, studied ordinary airborne dusts, air-pollution chemistry and the microbiology of airborne materials. It could be that some people have observed some of the more outrageous cloudseeding experiments of genuinely mad scientists like Edward Teller, who proposed atmospheric spraying of metal dusts to lower solar radiation and oppose global warming, but so far there is nothing solid to validate this idea -- to my knowledge, nobody has demonstrated that such experiments are really going on today, which would be fairly easy to determine by checking with the NOAA offices who monitor weather modification experiments across the USA. This idea remains totally hypothetical. Maybe some experiments being done at a few isolated military bases could escape public disclosure, but not across the nation involving a high percentage of commercial jet aircraft -- unless, of course, one wants to invoke the dramatic unproven hypothesis of evil demons or shape-shifting aliens having taken over the industry and government. Rational logic, and good natural scientific method, demands that we cannot claim to solve one set of unknowns by invoking another equally or even more far-fetched and unproven hypothesis. Some persons have asked me what might be the background factors underlying the current drought which has affected the Western states, and other parts of the USA, and also the large wildfires. As one of the senior members of the USA Core Network, with over 30 years of research experience in orgone biophysics, and 25 years of field work with the Reich cloudbuster, these questions have been foremost in my mind, and for our work and activities here at the Greensprings Center. The science of climatology and meteorology has been adept at making accurate measurements of weather patterns, but has failed in understanding their deeper causes. It is exactly here where the science of orgonomy, and the discoveries of Reich, allow some new observations and reasonable speculations as to causation. And from this newer understanding of causation come new approaches for change. 1. 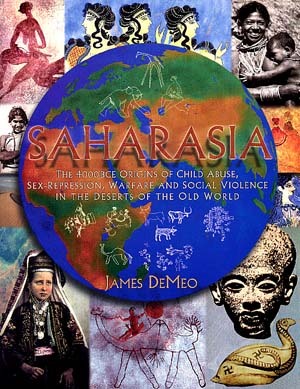 Some familiarity with my book "Saharasia" is necessary, at minimum the chapter on "The Saharasian Desert Belt" which gives a classical description of the world's largest continuous dry region, given the name Saharasia by myself. 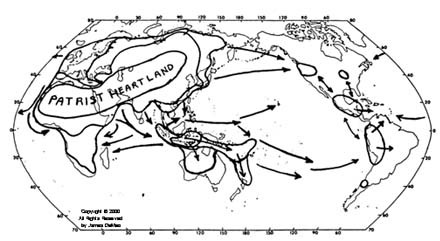 The Saharasian atmosphere also plays a fundamental role in Earth's climate and weather, as documented in my "Desert-Drought Map", published in our journal, Pulse of the Planet #2, p.82. Further discussion on the role of Saharasian dor and dor-haze in blocking precipitation within Saharasia, and as exported to other world regions to cause drought globally, as well as its relationship to the El Nino phenomenon, is discussed in my article on "Green Sea Eritrea: Cloudbusting Project" as recently printed in Pulse of the Planet #5. With this background information, which has also been presented to several international scholarly conferences on global weather and climate, it is known that the West Coast of the USA has for many years been under the influence of Saharasian dorish air masses, which arrive on the West Coast via two pathways: Saharasian dor firstly has a low-altitude discharge pathway out the Red Sea and Persian Gulf, moving eastward across the Indian and Pacific Oceans, to arrive along the West Coast of North America to form a dry "marine layer" (eg., typical "dry fog") which builds the dry coastal zone of California and Baja. A second pathway for Saharasian dor is high-altitude, originating within the central deserts of China where large dust storms scour the landscape and discharge dor-haze, and dust, into high altitudes where it is carried across the Northern Pacific by prevailing westerly winds. This material descends to lower altitudes in the mid-Pacific, becomes relatively enriched with humidity, and arrives in the Pacific Northwest as a stagnant stratus layer which washes along the coastal regions sometimes yielding good rains (when dor is sequestered into rains) or stagnant drizzles, or if sufficient in quantity, drought. There also is a pathway from West Africa across the Atlantic to Florida and the Gulf of Mexico region, which can affect Texas and the full SE region (as well as parts of South America). When Saharasia is in a state of expansion, as during the present time, more dor-haze and dor-dusts are discharged at its borders, and is then distributed globally, eventually to arrive in the Western USA where it arrives in greater quantities than is otherwise observed. This is a major factor underlying USA droughts. We therefore observe how events in Africa and Central Asia affect our weather in a rather direct manner, though with a delay of several weeks or months from the time of the major dor-haze discharges to their arrival across the oceans. 2. It has recently been observed that USA weather patterns are put into a state of high energetic expansion following subcritical nuclear testing at the Nevada Test Site. Two such tests have occurred in the USA this year, one on February 14 -- which put an end to exceptionally good wintertime snowfalls across the West -- and another on June 7th, which basically dried up the Western states, and initiated the current period of dry lightning storms and wildfires. Previously, we had known that underground nuclear testing was correlated with outbreaks of severe heat waves, high pressure conditions, droughts and massive dry wind storms in the Western States, and documentation on similar heat wave and drought effects following nuclear testing in India and Pakistan has also been documented. Our Pulse of the Planet journal has carried various articles on this subject over the years, including Kato's work on variations in the Earth Chandler wobble and mesospheric temperatures following underground nuclear testing, and Whiteford's work on changes in global earthquake patterns following testing. However, until most recently, it had not been clear that subcritical nuclear testing was capable of producing similar effects. Now, it appears this is so, and that the atmosphere is over-excited into oranur conditions by sub-critical nuclear tests, in a manner similar to underground nuclear bomb testing. 9/24/96 President Clinton signs Comprehensive Test Ban Treaty, banning underground nuclear tests. 3. For those who are unaware, there is a growing network of people who are using cloudbuster-type devices on a continuous basis, setting them up and operating them around-the-clock, day after day, and in the process over-exciting the atmosphere and creating oranur-like effects which yield widespread cloud-dissipating tendencies. These individuals have very little knowledge of Reich's work, but toss around his name as if they were intimate experts in the field, with the blind leading the blind. Their goal with this madness is to "dissipate chemtrails", and "chemtrails" are vaguely defined as being roughly equal to any jet contrail. In the process of attempting to dissipate jet contrails, other clouds are affected. The network of "chembusters" as they are called, has several hundred members, with an internet presence, and have caught the attention of somewhat alarmist conspiracy-theorists with large web sites and radio talk shows, getting a kind of publicity never afforded to scientists following and investigating Reich's work more directly. Many of them believe toxic chemtrails are being deliberately sprayed into the Earth's atmosphere by humans who have been influenced by either the United Nations, or by evil demons or aliens from outer space, in a macabre plot to poison people across the countryside. Reich's name is being injected into this confused mish-mash. Efforts to warn this group of the dangers of untrained and prolonged use of cloudbusters -- that they are actually increasing weather chaos and enhancing drought tendencies in the atmosphere -- have led to only dismissive contempt-reactions, and slander being directed at those who gave the warning. 4. Finally, of course, our own home-grown nuclear power facilities across the USA continue to exert their oranur effects, making problems in their local areas. Of the above, Saharasian dor transport is the more powerful influence, in my opinion, with the others taking a back seat. Without the first, the others would have only local and temporary effects. Some work with the authentic Reich cloudbuster has been periodically undertaken by the Core Network, with limited success given the limited financial resources available -- efforts continue as this is being written, with a major new storm off the Pacific Coast which hopefully will bring some relief. Earlier efforts were also made to contact the governors of both Colorado and Arizona during their period of massive forest fires, with copies of published articles and professional cover letters being delivered to their aids, who had previously been contacted by various well-connected professionals with sympathetic views about Reich. The hope was, that members of the Core Network could apply their considerable skills in the cloudbusting methods to assist in fire-fighting efforts, and thereby obtain some minimal state-support and logistical assistance for the efforts. However, no response was forthcoming in either case -- only the deadly silent treatment which orgonomy has been subject to now for over 50 years. We therefore are left with undertaking the necessary work by ourselves, with only our own resources. Individuals who have financial resources to assist the considerable needs of this work are encouraged to make a donation to OBRL. (CNN) -- The thin wisps of condensation that trail jet airliners have a significant influence on the climate, according to scientists who studied U.S. skies during a rare interruption in national air traffic after the September 11 terrorist attacks. "I think what we've shown are that contrails are capable of affecting temperatures," said lead scientist David Travis of the University of Wisconsin, Whitewater. "Which direction, in terms of net heating or cooling, is still up in the air." * Long white wisps of artificial clouds high in the atmosphere, contrails are the condensation trails left behind by jet airplanes. * Similar to human exhalation making a fog in chilly weather, contrails form when warm humid engine exhaust meets extremely cool air in the atmosphere. * Air temperatures where contrails form are generally lower than minus 40 degrees Fahrenheit (minus 40 degrees Celsius). * Like natural cirrus clouds, contrails insulate the planet, blocking out incoming solar energy from above and keeping in heat down below. * Scientists estimate that contrails cover some 0.1 percent of the Earth's overall surface, with regional concentrations as high as 20 percent. In many ways, contrails behave in the same manner as cirrus clouds, thin high-altitude floaters that block out solar energy from above and trap in heat below. As a result, they help reduce the daily range in daytime highs and nighttime lows. Contrails, by providing additional insulation, further reduce the variability. With air traffic growing and contrails becoming more prevalent, the natural variation will further decline and could disrupt regional ecosystems, some scientists speculate. Certain trees, crops and insect species depend on specific daily temperature variations for their survival. In some ways, contrails differ from their natural brethren. Cirrus clouds let less heat out than in overall, producing a net increase in the Earth's temperatures, according to climate scientists. With contrail clouds, they said they are not so sure. "Contrails are denser and block sunlight much more than natural cirrus clouds," said Travis, who with colleagues reported the findings this week in the journal Nature. "And contrails are much more prevalent when the sun is out," he said. "When this is factored in, there is a possibility that they offset global warming, and this is what we are trying to determine now." The researchers plan more studies to tackle that question, but they said they expect to rely on circumstantial evidence only. "We can only hope that the September 11 tragedy never happens again," Travis said. 2. Preliminary Testing of the Croft "Chembuster" by OBRL, 2002. 3. In a second test of the chembuster for several days, a prolonged dry period developed thereafter. To quote: "The one long period of dry, droughty weather that this area had, so far this year, followed the [longer] use of the chembuster... there was no rainfall for more than seven weeks." I am writing you in my capacity as a senior research scientist with over 30 years of work in the field of orgone biophysics, and having undertaken considerable research into the question of Wilhelm Reich's work, specifically on the cloudbuster device. Perhaps you know of my published work on this subject at the University of Kansas, and later in the Journal of Orgonomy, Pulse of the Planet, etc. I note your apparatus is similar in design to Reich's original one, though missing many key components. However, the purpose of this email is not to compare notes on designs, but to point out several dangerous possibilities which you appear unaware of. 1. Constant use of a cloudbuster, for periods of more than a day or two maximum (or even less, in some circumstances) will potentially create an over-expansion of the atmosphere which can lead to drought conditions. Since you are using the device for very long periods, as a method for dissipation of "chemtrails", it is logical and highly probable that the chemtrail-dissipation effect you claim to have successfully created also affects all other cloud cover in a similar manner. Your emails say you have a network of people using these devices, including in the Pacific NW (Ashland? Spokane? Shasta?) which has suffered under an extreme drought situation for more than a year. If your associates are all taking this approach, keeping the devices up and working for months without a break, it is very possible that your collective efforts have inadvertently exacerbated the current drought conditions. 2. Selling of cloudbusters to the public is an extremely dangerous and irresponsible step, given the fact that a single cloudbusting device can potentially affect weather over an entire continent, for better or worse, depending upon the intentions, training, and character structure of the operator. You do not appear to be educated about the *self-regulatory* atmospheric functions discussed by Reich -- leaving a cloudbuster up and running for days on end, or month after month (as suggested in your emails) is highly manipulative, as if to "force" mother nature to "bow down and do your will". There is no self-critical quality contained in your emails or web pages, and your encouragements to others to buy and use the cloudbuster are extremely alarming. This public selling of cloudbusters can be compared to the selling guns to children, or giving children matches and telling them to go play in the barn. I urge you, in the strongest possible terms, to cease with this irresponsible public propaganda! There are plenty of other useful things you can sell to make your money, where you won't be endangering entire regions. 3. For the record, and in example of what you don't know about this subject: The first cloudbusting work in Namibia was directed by myself in 1992-93, in successful effort to end a severe regional drought, with assistance from workers and scientists from the USA, Germany and Namibia, and in cooperation with the Namibian Government. Whatever anomalous rains have occurred in the Namib and Kalahari deserts claimed by your friend in more recent years, are equally likely to have been the product of natural cycles, or the consequence of the very focused and hard work of my team, which has continued to work in Namibia since the early 1990s. Also, several of my associates in the Pacific NW, and Montana specifically, were able to overcome the chronic over-expansion and bring considerable rains there using the traditional Reich cloudbuster, in a manner demonstrably connected to their times of operation -- which were run for fairly short times. If you set up such a device and leave it running for a month straight, there's no way you could make a genuine claim about any result, save for possibly creating a wide-spread energetic expansion, cloud dissipation and drought effect. I've shared your email material with various persons in the affected drought areas, and everyone is alarmed and concerned that your prolonged use of the devices might be worsening the situation, and in particular exacerbating the drought, heat-waves and forest fires. Or, perhaps, that your efforts might have created the drought in the first instance. That is exactly what is anticipated to occur if multiple cloudbusters are set up and left running for long periods during a drought. Nature is suffering badly from human abuses of all sorts. I see the internet photo of you with your daughter on Mt. Shasta, and hope you are a decent person with a good feeling for life, whose enthusiasm to "do something" helpful has simply run ahead of his knowledge. Reich died in prison defending his work against the nature-hating men in power, who also destroyed my professional career, and who today have made such a ridicule of his work that there are no social institutions for rational coordination and governance of cloudbusting -- which Reich noted would be absolutely necessary in the future if chaos was to be avoided. So we can only appeal to each other's deeper sense of genuineness and honesty. And that is what I am doing now, in an open manner, with you. From your writings, it is totally clear, you have little authentic information about Reich and the cloudbuster discovery, and only a small idea of the dangers involved. Your claim to be having atmospheric benefits is mostly, or even totally speculative; drought, instead, is the common atmospheric feature where your devices have been chronically used. For everyone's sake, stop selling the devices, and tell your network to put their pipes away until they have thoroughly studied the matter, and know what they are doing. Mr. Croft replied to the above email with his own, basically dismissing my concerns and expressing a cavalier and unconcerned attitude about the ongoing drought and forest fires in the region. The following response was given. I don't see the evidence supporting your optimistic appraisal, and am struck by the larger problem of drought which has plagued the entire Pacific NW for over a year. See this link: http://enso.unl.edu/monitor/archive/2001/drmon0911.htm Anyone claiming to have beneficial effects on weather in the West must confront this kind of evidence, as contained in the satellite images and measured weather data. I don't recall our meeting, but if I dismissed the idea of aluminum it was not out of some ignorant prejudice, but rather due to experimental and experiential work demonstrating a toxic effect from aluminum, when combined with high charge orgone fields. You apparently don't know much about my work, or my institute or internet site. Some links are given below. There is a group, the CORE Network, established nearly a decade ago, which is composed of scientists and naturalists following in Reich's path on these issues. Members of this group in Montana, Oregon and N. California, were working episodically over this year, and there is a good correlation between the onset of their work to the subsequent appearance of major pulses of regional rainfall. Your own approach, of working constantly for months, cannot possibly show any kind of correlation to rainfall episodes. Possibly, you observed the results of the CORE Network operations, or of natural rainfall events, misinterpreting them as the product of your prolonged efforts. Meanwhile, the background feature of drought continues to re-establish itself, as if there were a chronic drought-producing influence. Could that be your work? The analytical problem might be seen as follows: Suppose someone claimed they could create a "shooting star" by pointing their finger at the heavens. If they could point their finger and see a shooting star within 5 seconds at that spot, and do this repeatedly with a high degree of success, then it would be difficult to dismiss their claim. However, if they pointed to the heavens constantly, for the whole night, they could not make any rational claim about the matter, because you'd expect to see some natural shooting stars over the same period, no matter what. The same is true with the weather. Extended operations over months cannot be causally connected to episodes of rainfall with any certainty, except in the context of comparing very long term cycles of weather -- for example, if your region got better rains over the *entire period* of your work, as compared to weather over previous years for the same seasons. And on this score, your analysis of positive benefit fails, because the region has factually suffered from drought. Even in Spokane. I don't know who told you there was an increase in rains in eastern Washington. Take a look at the Palmer drought maps, and you'll see the drought exists all the way from Seattle to eastern Montana, and south to Northern California. The maps have not changed too much over the months, except where CORE Network members were active. Using such pipe devices for extended periods has the potential to create a droughty, overexpanded atmosphere. Since you claim a cloud-dissipating influence, the denial of a related drought influence (which also results from overexpanded, cloud-dissipating characteristics) seems contrived. If you are having the former result, then the latter result follows as a natural consequence. Your idea that "chemtrails" are dor clouds, I cannot evaluate, as I don't know what you mean by the term "chemtrail" -- some persons point to low-flying aircraft which emit poison loads which might be some military experiment in weather modification, or related insanity. However, others expand upon this to claim the contrail from every jet aircraft is a "chemtrail", in a blatantly paranoid manner. Surely, jet fuel has nasty stuff in it, but that's a stretch from claiming the US Government is using this method to deliberately poison its citizens, as some of the "chemtrail" advocates claim. Also, even if jet fuel has toxic stuff in it, dissipating the water-vapor component of that contrail won't eliminate any chemical toxins -- same with any weather-modification chemicals. They would simply drift towards the ground as tiny particulates. Really, I don't care to get into a debate with you about that issue, but I will repeat Reich's observation, that when high-flying jets leave a good cloud behind them, it is considered a good sign for rains, that the "orgonity" of the atmosphere is in a good condition. And everyone who does the cloudbusting work in a knowledgeable manner, who sees a good contrail behind a jet aircraft, surely knows that is a better atmospheric condition than when the jet flies overhead and does not leave such a contrail. The former atmospheric condition is contractive and likely to form other clouds, while the latter condition is expansive, and unlikely to form other clouds. So if you are going around dissipating every jet contrail, then clearly you are being disruptive and adding to the drought crisis -- and your failure to understand this, is prima facia evidence of ignorance on the subject of cloudbusting. I find your failure to give a serious consideration to this idea, to be just as irresponsible as is the distributing of plans for cloudbuster-type devices. For the record, I don't make any emphasis upon degrees or credentials, and am one of the biggest critics of orthodox science and medicine you will find, having written on the subject, sometimes to the consternation of others. I work with people from all sorts of backgrounds, and many of my close friends and associates in the CORE Network and elsewhere, are naturalists or otherwise without any significant "letters". However, they all appreciate authority based upon work, which is essential to any undertaking. Consider my comments and cautionary statements to you, to be a part of my responsibilities, of being a "resource" as you say. One of the characterological issues we openly address in the CORE Network and otherwise, is that if an operator begins to feel that "nature needs me to do this work", and that they "have to do it" in such an emphatic manner as to leave their cloudbuster up and running for very long periods ("one more month should be enough!! "), then they clearly have lost contact with nature, already failed in their mission, and have crossed the line from being a helper to natural self-regulatory processes, to being an anxious or angry manipulator of nature.